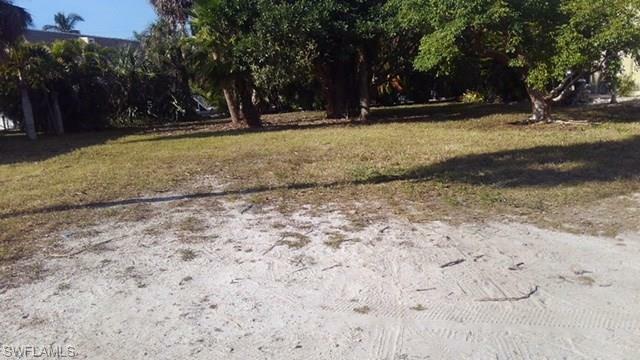 BUILD YOUR ISLAND GET-AWAY ON THIS FABULOUS FT MYERS BEACH LOT! THIS SINGLE FAMILY RESIDENTIAL HOME SITE IS LOCATED ON A NICE STREET AND ONLY A SHORT WALK TO THE BEACH WITH PUBLIC BEACH ACCESS CLOSE BY. WEEKLY RENTALS ARE ALLOWED HERE! APPROXIMATE LOT SIZE IS 80 X 97.... COMPARE THIS TO THE OTHERS THAT ARE AVAILABLE IN THIS PRICE RANGE! FT MYERS BEACH HAS MUCH TO OFFER, IN ADDITION TO THE SUGAR SAND BEACH, FAMOUS TIMES SQUARE AND PIER, WALK OR BIKE TO THE LIBRARY, BANK, PUBLIX OR TOPPS GROCERY STORES, CHOOSE FROM A VARIETY OF UNIQUE SHOPS AND RESTAURANTS, VISIT BAY OAKS COMMUNITY CENTER FOR BASEBALL OR SOCCER, A PLAYGROUND, PUBLIC POOL OR WALK ALONG MATANZAS PRESERVE'S NATURE PATHS AND WATCH THE DOLPHINS FROM THE PAVILLION ON ESTERO BAY.